Posted by Breckenridge Associates Real Estate on Monday, November 12th, 2012 at 3:53pm. UPDATE: This event has been postponed. Please check back for dates in February or March. The 5th annual Breck Snowflake Challenge brings snow sculpting back to its roots and onto the streets of downtown Breckenridge again this December. It's a fun kick-off and warm-up to the International Snow Sculpting Championships event in January. Sculpting sites throughout Main Street and downtown Breckenridge truly come to life over the course of the competition with amazing creations, adding to the beauty and surroundings of our perfect mountain town. 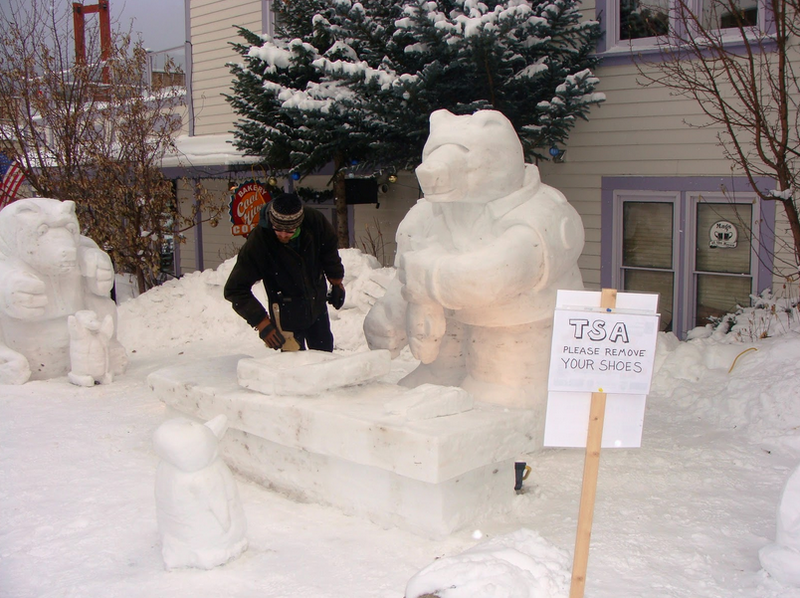 The Breck Snowflake Challenge is produced by Breckenridge Associates Real Estate and the founders of Breckenridge’s International Snow Sculpture Championships as a means to develop a new generation of snow artists. This is a grassroots movement to truly showcase the work of Summit County locals. Three of the artists competing in past Breck Snowflake Challenges have gone on to be members of "Team Breck" at the International Snow Sculpting Championships! One team even won Bronze in 2010! View the 2011 Breck Snowflake Challenge Results & Photos here. 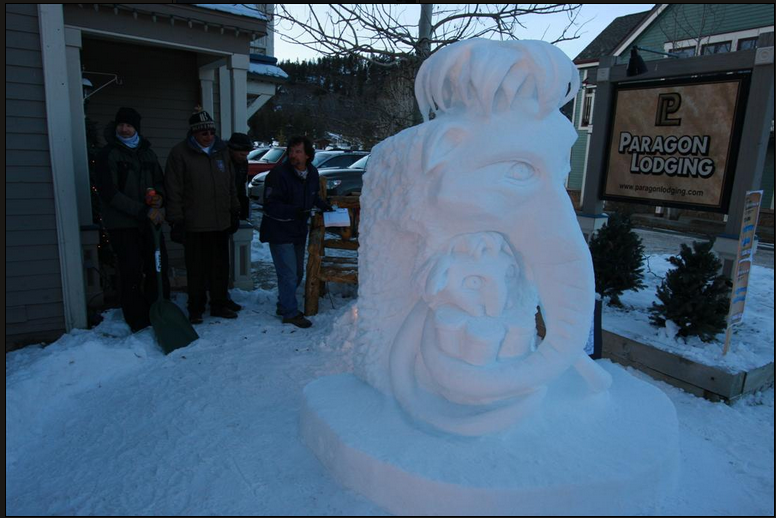 Following are a few of the local sculptures from past Breck Snowflake Challenge events. Local artists don’t need to have prior snow sculpting experience to enter. The deadline for entry is December 6. The competition begins December 7 and judging culminates December 14. Participants should view registration details at www.BreckSnowflakeChallenge.com. Or, call the Breckenridge Associates Real Estate office at 970.453.2200. 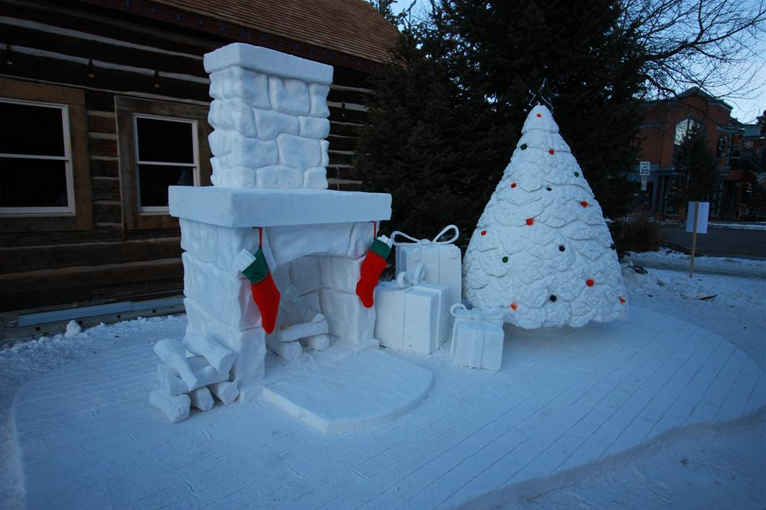 Visitors won’t want to miss the sculpting creations from local artists after the competition kicks off December 7 with completed sculptures December 14, and the following days after (as long as colder temps cooperate). A site map will be available at the Breckenridge Welcome Center. The Breck Snowflake Challenge is proudly sponsored by Breckenridge Associates Real Estate, The Breckenridge Resort Chamber, Coors Tap the Rockies, The Summit Daily News and KSMT/Lift 106 Radio.